We are one of the leading manufacturer, exporter and suppliers of a comprehensive assortment of Anti Coccidial products. We are offering a range of Salinomycin (Coccidoline-S). Each kg of Coccidoline-S contains Salinomycin 12 % Prevention of coccidiosis in broilers ideal anticoccidial for all seasons in the year, 500g/tonne of feed, Polypack 1 Kg. We offer a range of Diclazuril (Coccidoline-D). 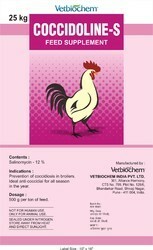 Prevention of coccidiosis in broilers ideal anticoccidial for all seasons in the year, 200g/tonne of feed, Polypack 1 Kg. We offer a range of Robenidine HCL. Robenidine HCL is a synthetic broad spectrum chemical anticoccidial drug. 1. Have a good effect on prevention and treatment of coccidiosis caused by Eimeria mitis, E. brunetti, E.
2. Increase feed conversion rate. For per 1000kg of feed, we recommend to blend Robenidine HCl : Poultry: 30-60gram, Rabbit: 100-150gram. disappear when using low concentration. of feed. To do this you can add the product directly into the feed when mixed or you can add it in the premix. Storage conditions: Well-sealed, store in a cool dry place and keep away from moisture and light. We are offering a range Robenidine Hydrochloride 10 %. 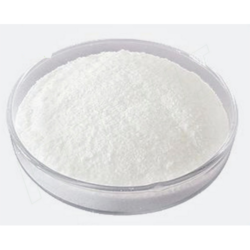 Robenidine Hydrochloride is a synthetic broad spectrum chemical anticoccidials..
Robenidine Hydrochloride 10% (Feed grade,Under the nature condition, it presents white or off-white powder. rabbit.As for premix, Chicken, 300-600g; Rabbit, 1000-1500g. 3. Do not use this medicated feed for treatment of outbreaks of coccidiosis. 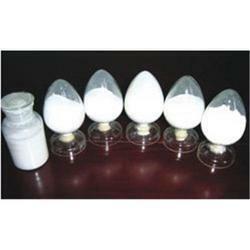 We offer a range of Dinitolmide. insoluble in Water. Melting Point:177181¿¿¿. 1. Does not affect the immune competence of Poultry on the recommended dosage, used in Broiler, Layer. 2. Using with roxarsone( 125ppm50ppm), can significantly enhance the efficacy of anti-coccidiosis. 3. Maily effect on second-generation schizonts(In 3 days after infection). 4. A broad-spectrum anticoccidial drug, preventing main strains of Eimeria coccidium. 5. 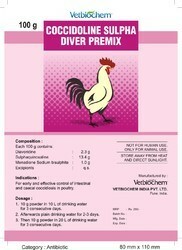 This product not only for prevention but also for the treatment the treatment had no adverse effects on poultry growth. 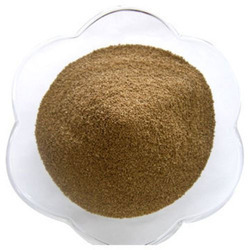 Inclusion Rates: For Poultry: Preventing:50~125 g per ton of feed. Curing: 150~300 g per ton of feed. 2. Withdrawal Time is 3 days. Storage conditions: Should be stored in a cool,dry place away from light,seal. Looking for Anti Coccidial ?